Mental and Health and Wellbeing does not begin and end in the head, we have preconceptions when we hear about mental health and very often believe we are not affected. Mental Health. Gov website’s definition is “Mental health includes our emotional, psychological, and social well-being. It affects how we think, feel, and act. It also helps determine how we handle stress, relate to others, and make choices. Mental health is important at every stage of life, from childhood and adolescence through adulthood”. I believe with the increasing speed of our society many of us have got carried along without ever giving ourselves the time to stop and be. We have grown up in a society whereby our way of coping has been through avoidance, distraction or addictions. We were never taught or shown to be OK just as we are, if we are sick we take a pill, if we are unhappy we take a pill, if we are exhausted we take a pill, and if we can’t sleep we take a pill and we hope that they will work and we can carry on as before. From what I see now though we are moving through a time where we are becoming more aware of these strategies and realising the “drugs don’t work” or if they do they still aren’t bringing us the happiness, connection and peace of mind we strongly desire and we now want to liberate our own mental health & wellbeing. For many of us growing up we were never shown how express our feelings, or even that our feelings mattered. Some of the common signs of this show in our adult lives as angry outbursts, sulking or bouts of depression. We most likely did express our feelings at some point in one way or another and were quickly shown it wasn’t appropriate or would made to feel “weak” or “bad. Being told “boys don’t cry”, “man up”, “good girls don’t say that” or we may have been laughed at, scowled or even slapped – so very early on we decided to protect our feelings by either becoming unaware that they even existed, becoming overly assertive and acting out of them, or becoming withdrawn and our own worst enemy. Through discovering and practicing Non Violent Communication (NVC) , I have found that I am much more able to allow my own feelings and I now have language that will allow me to express them and also be able to hear the feelings and needs of another even when they are using “Jackal language”. NVC works on the model of “Giraffe language” – speaking and listening from the heart and Marshall Rosenberg believes we were mostly brought up to speak “Jackal language” – this language plays the game of punishment and reward (“who’s right”). The model of NVC works on the assumption that we are all compassionate by nature, all have the same needs and use strategies in which we believe we get our needs met. Our feelings are our indicators as to whether these needs have been met or not. When our needs are met we experience feelings of contentment, connection, security safety etc. and when our needs are not met we experience feelings of upset, anger, sadness, helplessness etc. This process has allowed me to heal from past traumas, communicate within my relationships and gave me a sense of empowerment that instead of thinking there is something wrong with me or wishing other people would change, that now I can just accept that certain needs are really important to me and I can focus on their energies and the consciousness of these being met (bit like Law of Attraction). At Mindful Living I have helped others with this process through 1-2-1 empathy healing sessions and the popular Compassionate Communication workshops . The power of empathy can be truly healing. Sometimes just being listened to and fully heard is enough to feel some relief and feel supported and less alone. Talking also encourages others to do the same. Walk ing is one of the most natural exercises you can do, it’s free and it’s easy to do. Some of its benefits include improved circulation, improves mood, improves balance and coordination and strengthens muscles among other things. Nature never fails to make my heart sing. The secret to exercising is to find something you enjoy doing, and discover whether you like to exercise alone or whether with a buddy or with a group suits you better. My preferences have changed over the years from gym sessions and classes, kick boxing and boxing, golf, running and very briefly cycling and swimming – these two brought more anxiety than joy so I am happy enough to acknowledge they aren’t for me right now. If exercise is your thing always check in on your feelings and motives, there is a fine line between “letting off steam” and “running away from problems”. It’s essential for me to include mindful exercise practices such as yoga, tai chi and qi gong. These all have the added benefits of connecting body and mind and breath and can help us feel more grounded and centred. Yoga for me is like pressing the reset button. My yoga teacher training begins in the new year and I am looking forward to the personal, physical and spiritual development that this will bring. If you are looking for a yoga class in the Belfast area, I can highly recommend my own teacher at Yoga Belfast. If you are new to exercise, start off gently and increase as and when it feels right. Always consult a doctor before starting any exercise if you have any doubts to your health. Mental Health. Org agree there are strong links between what we eat and how we feel. Food can also have a long-lasting effect on our mental health. 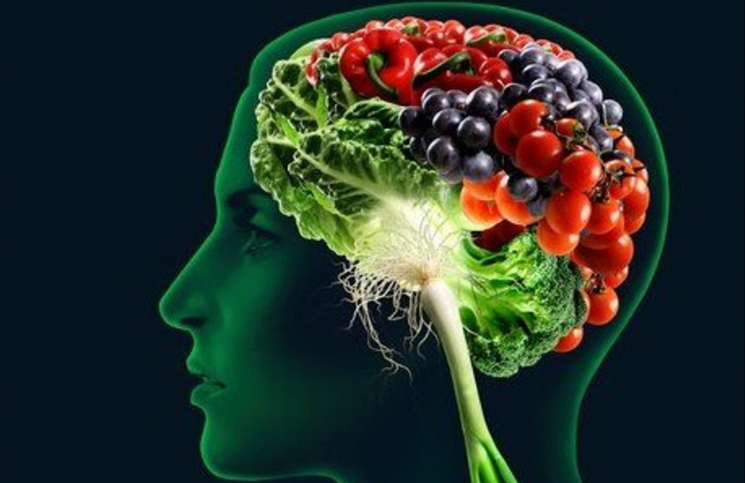 our brain needs a mix of nutrients to stay healthy and function well, just like the other organs in your body. Improving our diets can also help give you positive feelings, clearer thinking, more energy and calmer moods. I have struggled most of my adult life with what I call “Disordered eating”. Eating foods that put weight on me and send me into spirals of cravings such foods I can identity as sugar, alcohol, high GL carbs (white carbs) and then going on “diets” and calorie controlled plans that very often restricted me on the essential nutrients my body needs. Its early days but I started a plan around 7 weeks ago that has stabilized my moods and cravings, has given me sustainable energy and has had a bonus of losing 13lbs and 3 ½ inches from my waist. Eating regularly – When blood sugars drop, we might feel tired, irritable and depressed. By eating regularly blood sugars stabilise. Always start the day with a breakfast that includes a decent portion of slow energy release foods. Include your 5 a day – Vegetables and fruit contain a lot of the minerals, vitamins and fibres we need to keep us physically and mentally healthy. Choosing a wide variety of vegetables with different colours gives us greater selection of vitamins and minerals. Keep yourself hydrated – If we are dehydrated we may find it difficult to concentrate – include water, herbal or green teas. Eat the right fats – The brain needs fatty oils such as Omega 3 and 6 to keep it working. Some food containing good fats oily fish, poultry, nuts (especially walnuts and almonds), olive oil, seeds, avocados, eggs and milk, cheese and yoghurt. Again if you have any illness or disease that may prevent change in diet or special requirements always consult a doctor before making changes. A Canadian health minds website states -Showing compassion to ourselves and others can actually positively impact our own health. We probably all recognize this from our own experiences – that warm feeling you get when you help someone else – but there are now a variety of solid research studies that have documented the mental and physical health benefits that practising even small acts of kindness can provide. For example, various studies have proven that volunteers enjoyed higher life satisfaction, had fewer symptoms of depression and anxiety, greater life expectancy, and better overall physical health. Incredibly, giving help had a greater positive effect than receiving it from others. One way to connect to compassion is by developing our empathic skills – When we can offer ourselves self-empathy compassion naturally arises from this place and we can receive another empathically again it’s from this place that there is a natural state of compassion. The direction of my recent teachings now focus on developing empathic skills. I believe that to be truly present with another is the greatest gift we can offer and to be truly present with one’s self is also the greatest gift we can give ourselves. I have been able to offer my teaching to others through the 1-2-1 empathy healing sessions and also through the focus of my recent workshops. Check out Newry and Belfast Workshops as Early bird is still available. As humans, we are wired for connection. Kindness and compassion can build bridges between people – family, acquaintances, strangers, maybe even adversaries. Why not make kindness a habit? It doesn’t have to be a grand or costly act; small, daily practices are all that is needed to reap the benefits for you and brighten someone else’s day. Pay for a coffee for the person behind you in the queue, return you non expired parking ticket to the pay station. Cut your neighbour’s lawn. Tell a colleague how much you appreciate their contribution. Donate some groceries to a food bank. Sit with a friend and genuinely listen to what they are saying. Smile at a stranger. You have nothing to lose, and so much to gain. Mind.org believe There is a close relationship between sleep and mental health. Many people who experience mental health problems also experience sleep problems. Mental health problems that are also related to sleep problems are mood disorders, anxiety disorders and psychotic disorders. On the other side of the coin sleep problems can lead to mental health problems. Sleep problems can occur from struggling with everyday life, feeling of loneliness, low mood, negative thoughts. I have noticed that since I have given up the steady structure of employment and now have increased fears of how I am to support myself and family that I have had more difficulty getting to sleep. I do quite a lot of the above like have a regular 10:30ish sleep time, I don’t lie in in the morning, I know I could spend less screen time in the evening and maybe this time of your I am lacking of a bit of light as this certainly shows up as being less likely to want to get out of bed when it is dark. I use my mindfulness practice of the body scan when I am in bed and can’t sleep. As much as this practice is not necessarily made for going to sleep. 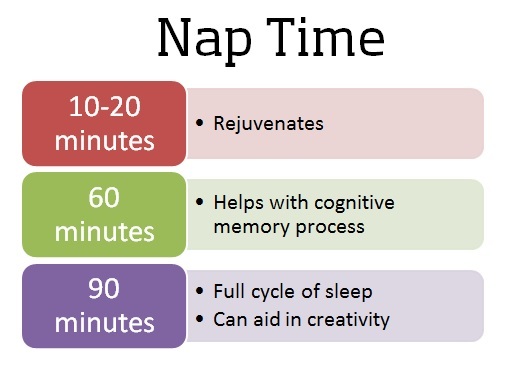 It allows my mind to settle and brings more attention to my breath and body which in turn nods me off to sleep. Check in regularly to my Mindful Living Website and Facebook page for tip and advice of mindfulness and other meditation practices. Again if you are experiencing difficulty with sleep problems that do not improve with self-care please consult Doctor or therapist. If you enjoyed reading this please subscribe to my mailing list to receive future blogs and newsletter with tip, advice and current events and services.